Dr. Aryeh Bachrach has a novel way to deal with the flight bans declared last week by US and EU authorities. Dr. Aryeh Bachrach, a leader of the Almagor terror victims' organization who himself lost a son in a terrorist attack, said that Israel could use the flight ban to Israel by American and European airlines to its advantage. 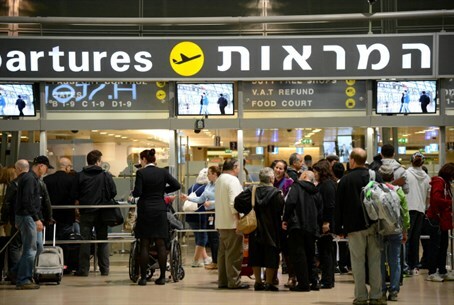 Speaking to Arutz Sheva, Bachrach said that if the opportunity were to arise again, with US and EU authorities telling airlines not to fly to Israel because of the danger of Hamas rocket attacks, Israel should, instead of seeking ways to convince the officials that there was no danger in flying to Israel, adopt their point of view. “When the announcement of the flight ban was made, Israel went out of its way to beg American and European authorities to rescind it, and when former New York City Mayor Michael Bloomberg came to Israel to 'prove' how safe it is, the government was overjoyed,” said Bachrach. Instead, said Bachrach, the government should have declared that the EU and US were correct. “'They are right, it is dangerous', is what the government here should have said,” said Bachrach. “But no nation would allow this kind of danger to persist and allow attacks on its airspace, and the only way to stop it is to hit Gaza hard. Just like any other country would take all steps necessary to protect themselves from gangs of murderers, so too must Israel,” he pointed out. Bachrach also weighed into the issue of a truce with terrorists in Gaza, saying that Israel does not have the luxury of entering into ceasefires with Hamas.